Artis Brushes at SpaceNK… They’re so soft! 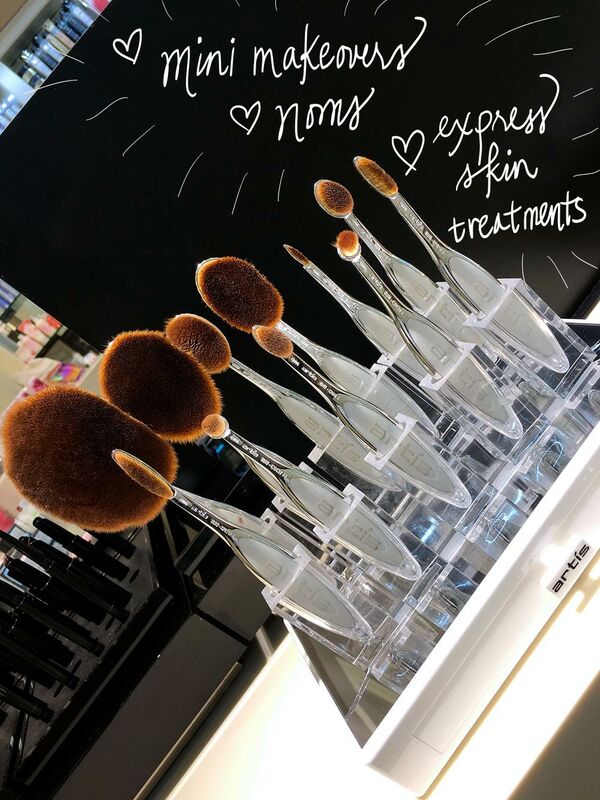 These Artis brushes, girl… When I was at SpaceNK in Larkspur last Saturday, I stood there petting them like they were tiny little kittens for, um, longer than I probably should’ve, LOL! They are SO soft. Oh, and get this! I learned a new trick from Katherine, one of the fab ladies who works there (hi, Katherine!) with the Artis brushes and Hourglass Vanish Foundation, which you know I loooooove. Swipe a little Vanish on your face, drop one or two drops of your favorite face oil directly into an Artis brush head, then blend and buff the foundation with the brush. The face oil sheers out the foundation just a touch, so it’ll look that much more seamless and natural. Kind of genius, right? So, May 6, Saturday. You, me, SpaceNK at the Marin Country Mart in Larkspur from noon until 2. It’s gonna be kind of like a mini MBB party! There will be makeovers (yay! ), refreshments (yay!) and express skin treatments (yay!). I’ll be there to hang out, and we can chat about beauty, cats and all that fun stuff. I’m dying to meet you and really hope you can make it! Saturday, May 6 from noon – 2 p.m.
That sounds so good. I guess I will grab a brush to pet over here and be there with you mentally. I have a couple of those Artis style brushes and at first I wasn’t even sure how to use them. Now I’m starting to love them. I have a big one that I use for blush (one swipe and done) and a small, narrow one that’s great for applying color under my lower lash line. I haven’t tried the medium one on my eye lid color yet, but probably once I do, it’s going to become my favorite brush for that. The blush brush is seriously wonderful. Aww, I was hoping to finally meet you!